DOB-ECB violations increased by over 1,000 from February 2016 to March 2016, right after the DOB’s announcement to ramp up construction enforcement. 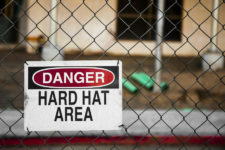 Construction violations during that same period also increased by 1,000, up over 46% from March of the previous year. From January 2016 to July 2016, construction-related violations were no less than 71% of all issued DOB-ECB violations. You can read more about the city’s emphasis on construction-related enforcement at The Real Deal, where our research is quoted. In addition to recent years, SiteCompli also analyzed total DOB-ECB violations issued from 2010 – 2015, breaking down issuances by total violations, violations per square foot, and violations per building. View the full report here, including a review of NYC community boards with DOB-ECB violations.